Hey, I am planning a trip to Jamaica but really want to stay in Ocho Rios, but I am having trouble finding spots to cliff jump. I really want to cliff jump nearby and hope you can help me find some spots. 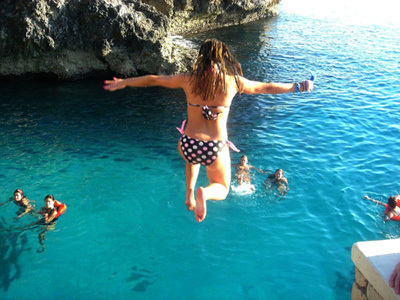 I am not aware of a cliff jumping attraction in the Ocho Rios area. The only one I am aware of is the world famous Rick's Cafe in Negril. I look forward to the feedback and related suggestions from my other site visitors. Stay in touch.